I sometimes suffer from insomnia. Not all the time, but I go through phases where I just toss and turn for hours before falling asleep. And if my kids wake me up in the middle of the night–not a prayer that I will be able to fall back to sleep before another three hours. I seems to happen more during stressful periods when I have a lot to get done and have deadlines to keep. I was recently offered the opportunity to try out a new product called ZzzQuil, made by the makers of Vicks Nyquil. It’s only for occasional sleeplessness, not for colds or pain. You can buy it in a syrup so you can choose how much to take, but you can also buy it in capsules if you prefer. They sent me a little kit that encourages sleep. So here are some good tips to help you fall asleep. 1. Try taking ZzzQuil: This is a non habit forming medicine that gentle puts you in a tired state. Take it about a half hour before you are ready to go to bed. I took it one night when I had fallen asleep on the couch, got up and got ready for bed, then was wide awake by the time I was in bed. My husband fell asleep in seconds of course, snoring loudly away. Not a great recipe for peacefully drifting off. So I got up and took ZzzQuil and I don’t even remember lying awake because the next thing I knew, it was morning. You can read my review on Amazon. 2. Disconnect: Television, computer, and phones are all stimulating to the brain and eyes. If you struggle with insomnia, turn off your electronic devices at least a 1/2 hour before going to bed, better if it’s 1 hour. Use that time to pamper yourself, read a magazine, or meditate. I found that reading a book didn’t help me relax because it just got my mind racing about the plot. 3. Take a bath or shower: The hot water is relaxing, nuff’ said! Plus it’s almost symbolic, the way you can just wash away a stressful day and get in your bed all nice and clean. 4. 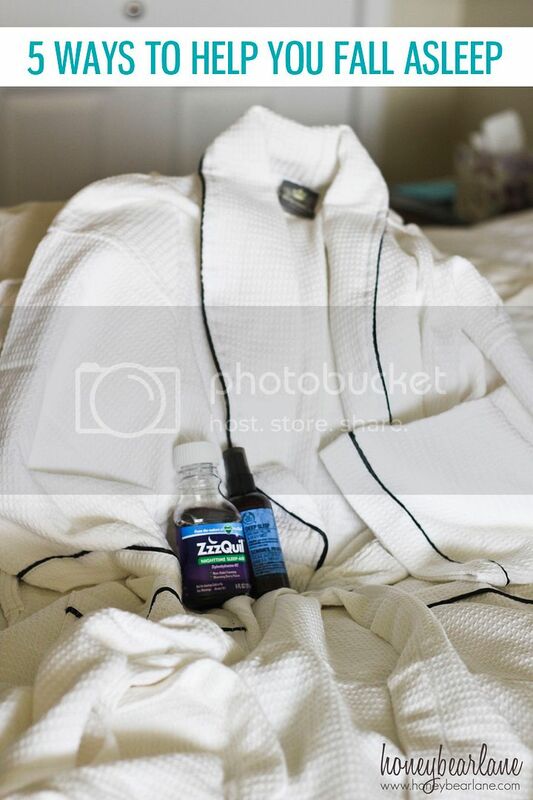 Spritz your pillow and bedding with a lavender spray: (make sure it won’t stain anything first.) The scent of lavender is very calming and will help ease you into sleep. 5. Get a massage: Nothing helps me fall asleep faster than my husband rubbing my back. Maybe give him one first and then he can return the favor! 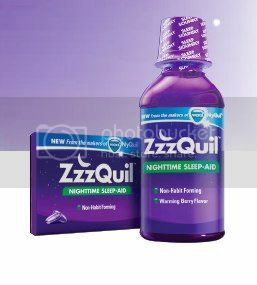 If you decide to try ZzzQuil, go ahead and tweet about it and make sure you include the hashtag #ZzzQuilNight. If you don’t do Twitter, visit them on Facebook! Disclosure: P&G compensated me for this post; all opinions are 100% my own. Hey, there is another great source in helping you fall asleep. Go to http://www.SleepWellSecrets.com to find out more!